Jordan Downs Featured in CURBED LA! 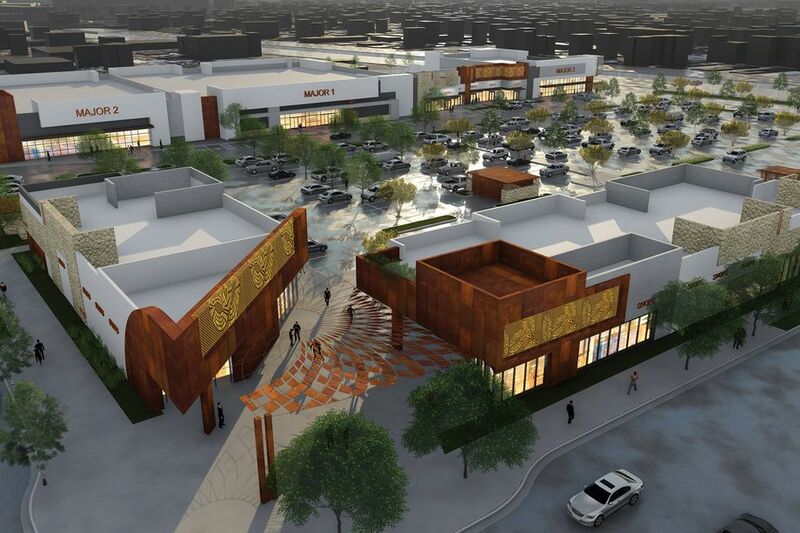 Here’s the new shopping center coming to Jordan Downs: The new grocery store and shops should be complete next year. Arturo Sneider of Primestor Development, Inc. was honored for his socially uplifting leadership and support of APCH. Above is Arturo with some of his Primestor family. The Housing Authority of the City of Los Angeles (HACLA) welcomed nearly 100 city officials from all over the country for a mobile workshop and a tour of Watts. Tour stops were made at Nickerson Gardens, Jordan Downs and Watts Towers where the government officials saw first-hand how community-led efforts are making a lasting impact on public safety, housing and the local environment in Watts. 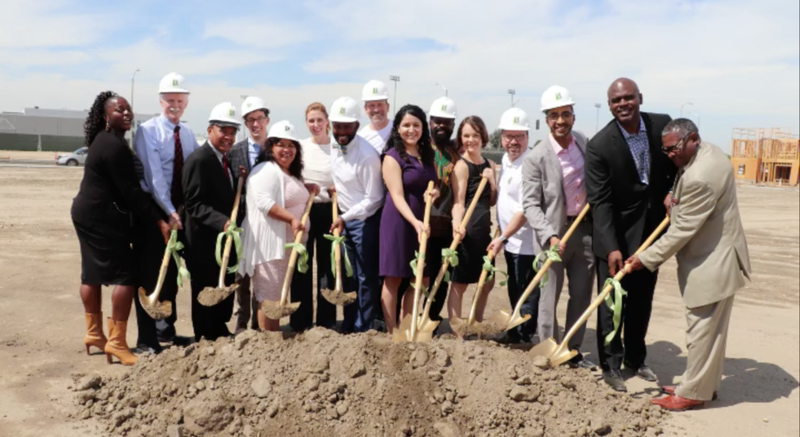 The Housing Authority of the City of Los Angeles (HALA) together with Primestor Development, Inc., broke ground on 115,000 square-foot retail shopping center that will soon become the Jordan Downs Plaza on Friday, June 15th, 2018. Click on source link below to see article and video. The South Gate City Council and City Staff demonstrated their strategic leadership by approving the conversion of a former pipe manufacturing facility into the largest revitalization project in the City’s history. azalea Regional Shopping Center showcases nationally known tenants such as Walmart, CVS, Petco, Marshall’s, Ross, Michael’s, Forever 21, and In-N-Out. It encompasses 385,000 square feet on 32-acres, with 38 retailers and restaurants. East West Bank has officially launched a marketing campaign featuring Primestor as one of their successful community lending clients. The commercial will be broadcast in various networks in Southern California. In the Los Angeles area it will be seen on KTLA morning news hour, Telemundo, Univision and some Chinese TV stations. On August 26th VEDC (Valley Economic Development Center) and Los Angeles Mayor Garcetti's office held a press conference and event to launch Great Streets Great Business bringing opportunities for 15 corridors in Los Angeles market. Leandro Tyberg represented VEDC at the podium. We are honored and proud to announce Primestor is a Los Angeles Business Journal 2015 Latino Business Awards finalist. Primestor Development, Inc. sold this ±40,001 square foot property which was developed in 2008. The stabilized property is anchored by a new DD’s Discounts store. Other national tenants including Subway and Panda Express. University Square has excellent visibility along the 91 Freeway just east of I-110. We have purchased a single tenant Logan’s Roadhouse restaurant in San Antonio, TX. This Logan’s Roadhouse is located off Highway 151 and Loop 1604, within the Alamo Ranch Power Center (900,000 sf). ACQUISITION – 9077 SANTA MONICA BLVD. We have purchased 9077 South Monica Blvd. which is configured for restaurant use. 9077 Santa Monica Blvd. is at the crossroads of Beverly Hills and West Hollywood.